Industrial designers sometimes make the mistake of thinking that certain product elements are written in stone, or that they just aren’t worth thinking about. And sometimes it takes a set of fresh eyes to see an exceptionally simple yet innovative solution. 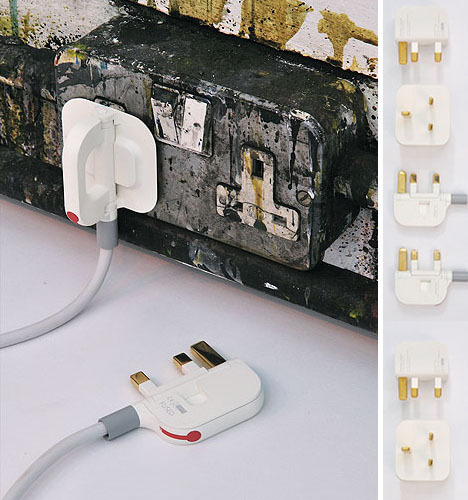 That was the case when Royal College of Art student Min Kyu Choi re-imagined the bulky UK power plug. 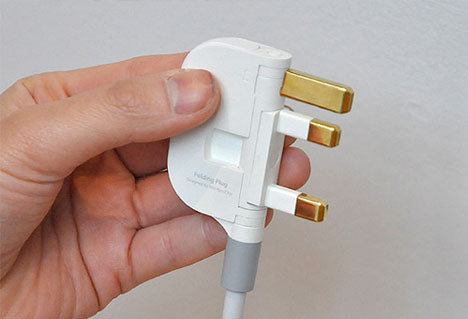 The UK power plug is known as one of the biggest in the world, and this was a problem for Choi. She noticed that when travelers carried their laptop power plugs with them, the large plugs would often damage other items. Especially just after the exceptionally thin MacBook Air was released, Choi believed that it didn’t make sense to carry tiny gadgets with a huge plug. 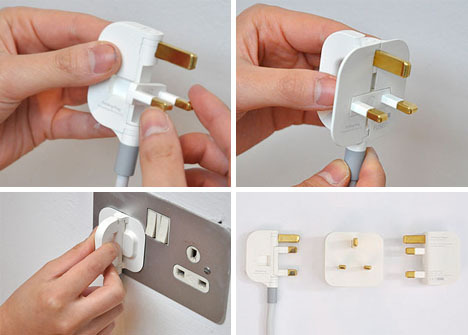 She came up with this revolutionary folding design for the UK plug, which involves a simple twist of the two horizontal prongs and folding the “wings” on either side of the prongs. When it’s not in use, the plug becomes a very thin 10 mm. 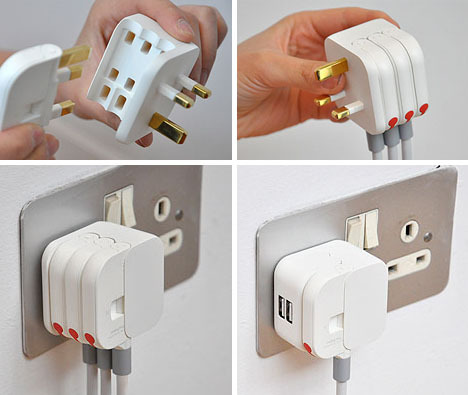 Even better, Choi built a unique feature into her design: rather than requiring a power strip for multiple plugs, users would be able to fit several still-folded plugs into one adapter with a standard prong layout. This would allow several gadgets to be plugged into one outlet while only taking up the space of one. By stepping outside of the box and looking at the power plug from a fresh perspective, Choi was able to improve a design that most people don’t even pay attention to. See more in Industrial Design or under Technology. January, 2010.